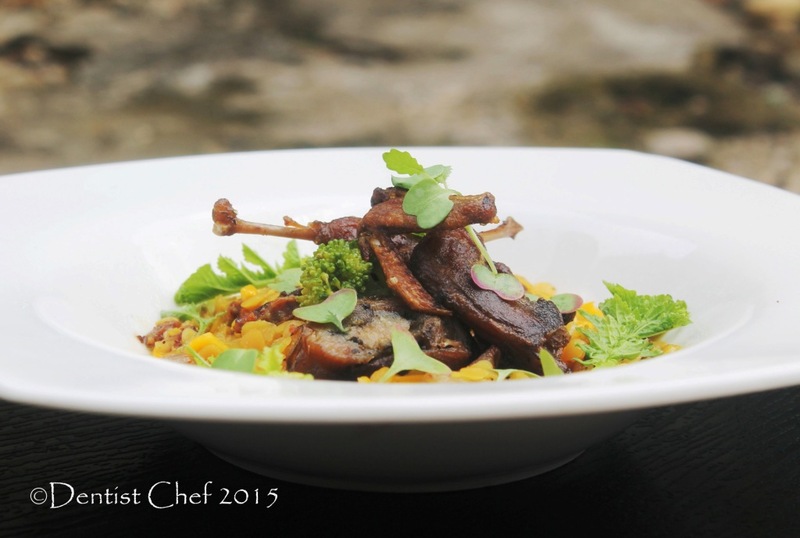 Recipe Crispy Quail Confit, Served with Stewed Lentil with Chorizo and Saffron. 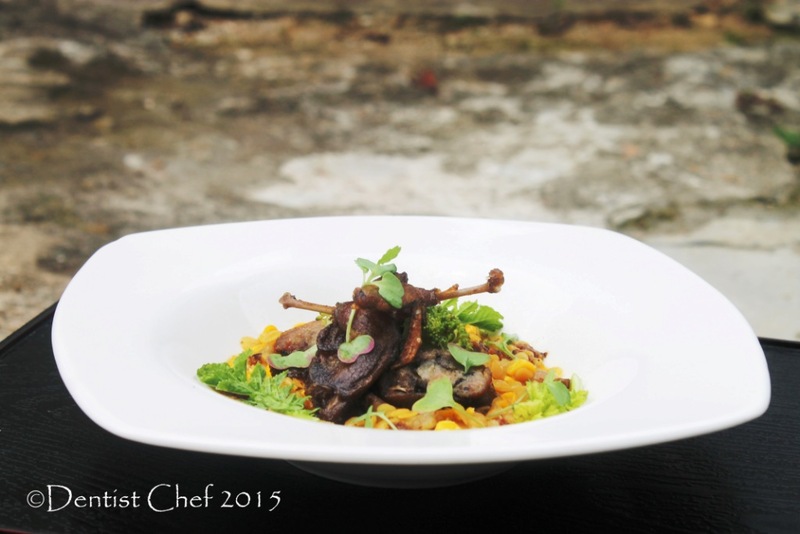 Recipe Crispy Quail Confit, Served with Stewed Lentil with Chorizo and Saffron. The quail leg and the breast confit or slowly cooked in oil (duck fat) in a low temperature oven until the meat fall off the bone once all the tough tissues breakdown into tenderlicious collagen. Right after the quail confit meat is tender, the skin is pan fried with a little bit ammount of duck fat until the skin side crisp up and golden brown. 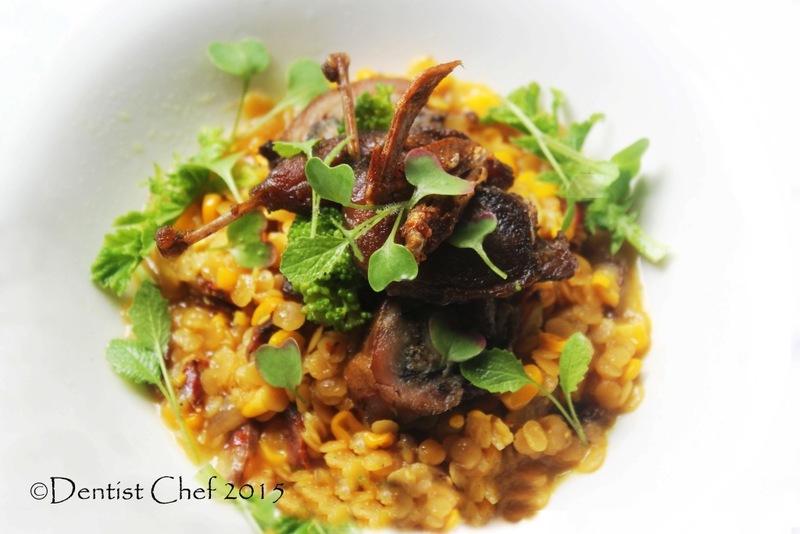 The lentil for serving the quail confit stewed with Homemade Spanish Chorizo or Dried Cured Sausage and Spanish saffron, alongside with other spices, herbs and the roasted quail cascass bone broth. 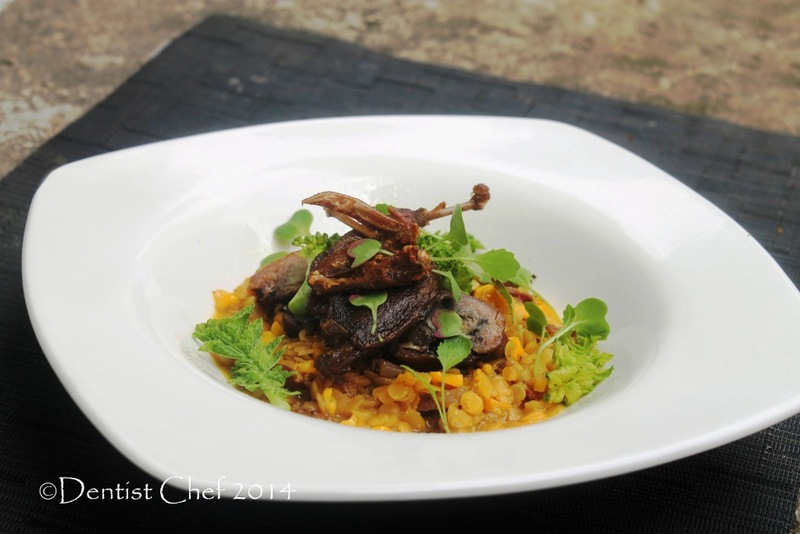 Crispy Quail Confit, Served with Stewed Lentil with Chorizo and Saffron. 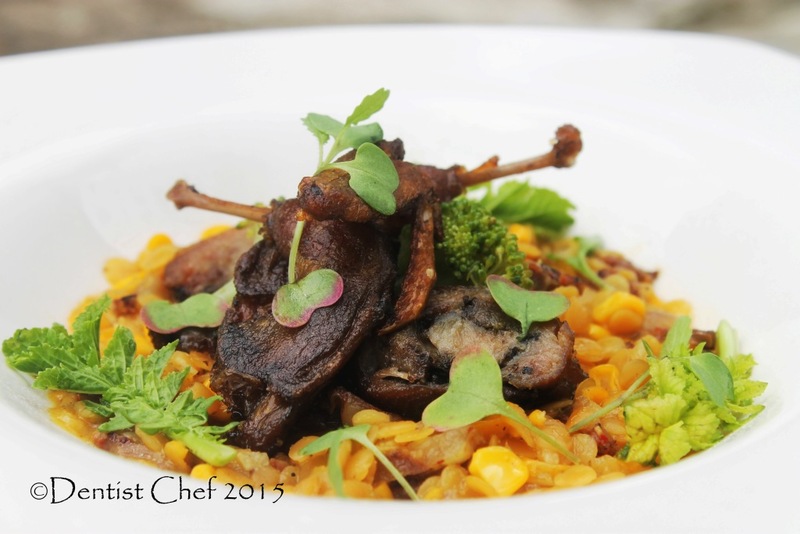 Making a delicious quail confit or other game bird is so easy. The rules of making confit is simple, simply submerged marinated quail leg and breast in 80-90ºC fat or oil for about 30-60 minutes depending the size and the toughness of the quail once it slaughtered. 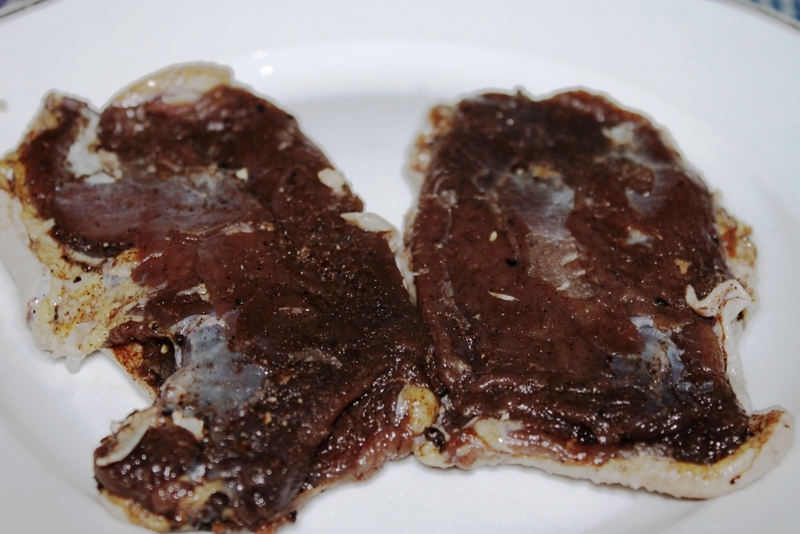 Never raised the oil temperature to rushed the cooking process because higher oil temperature made the water content in the quail meat boiled and evaporates, thus made the quail confit meat dried and tough even more. 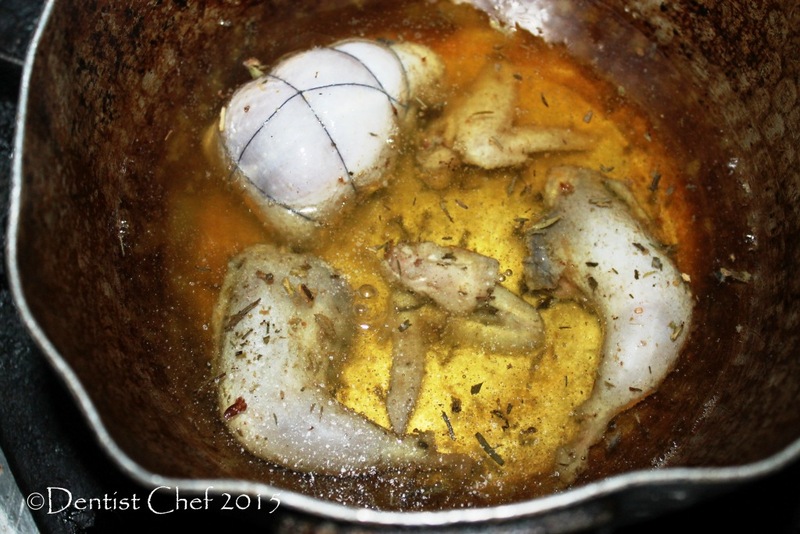 The oil or fat temperature for making quail confit is just enough to break down the quail meat without much drying (boiling) the water contents on it. So, basicaly the temperature and the period is the difference of deep frying and confit, confit is prolonged cooking in oil in a low temperature while deep frying is flashed dehydration cooking in oil in a high temperature. 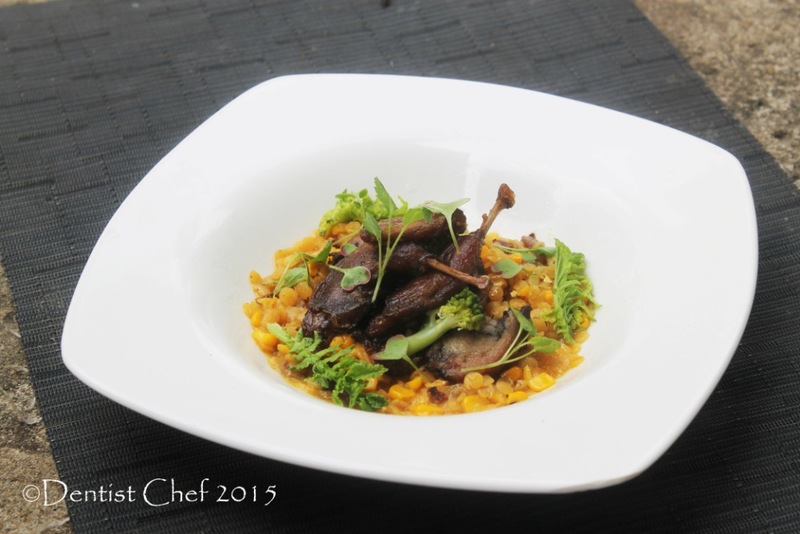 The lentil stewed in a browned quail bone stock and flavoured with saffron and Homemade Chorizo Dry Cured Sausage. 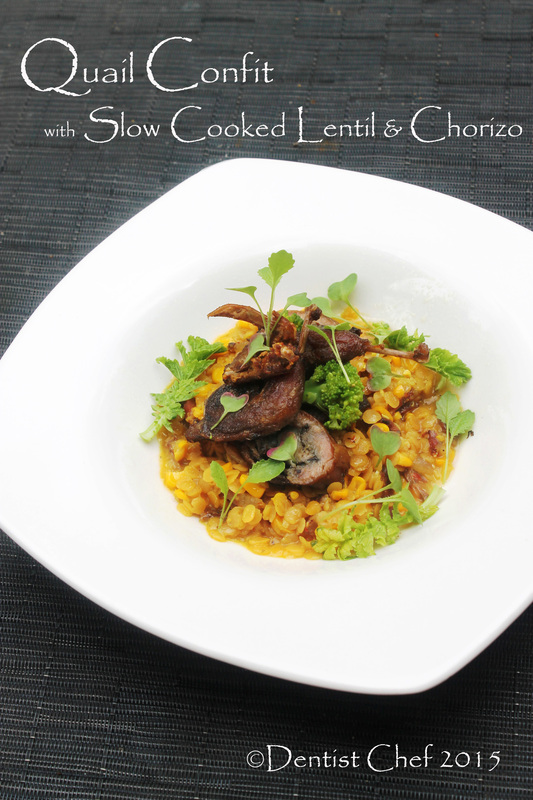 The fragrance of saffron and smokey peppery aromas of chorizo made the lentil heartwarming and comforting. The slow cooked stewed lentil with saffron actually best served once it cooked one day priorly to made sure all the flavour infused into the lentil, but the fresh cooked lentils is also delicious. 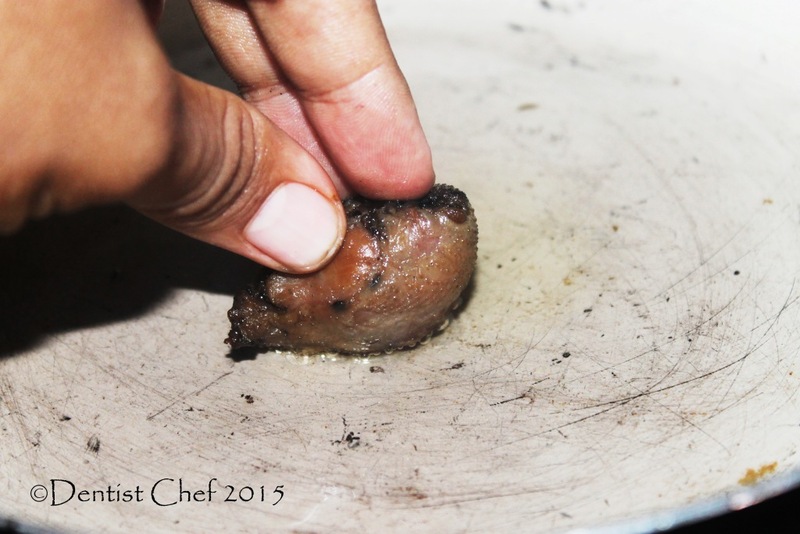 The quail here in indonesia is not specifically raised for it’s meat, but for it’s eggs. 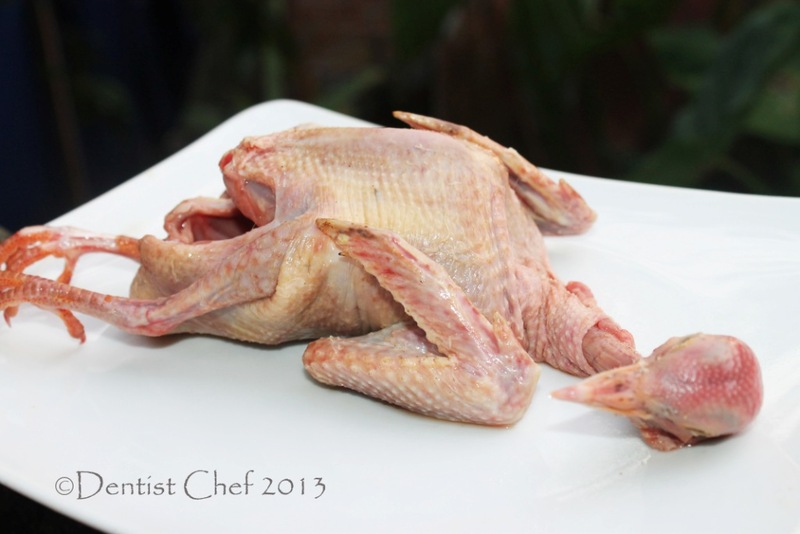 The old and not productive female quail slaughtered for it’s meat, so different from the tender quail that used to sold in the western country; the quail here is quite tough and need a slow cooking process to present it to the table. 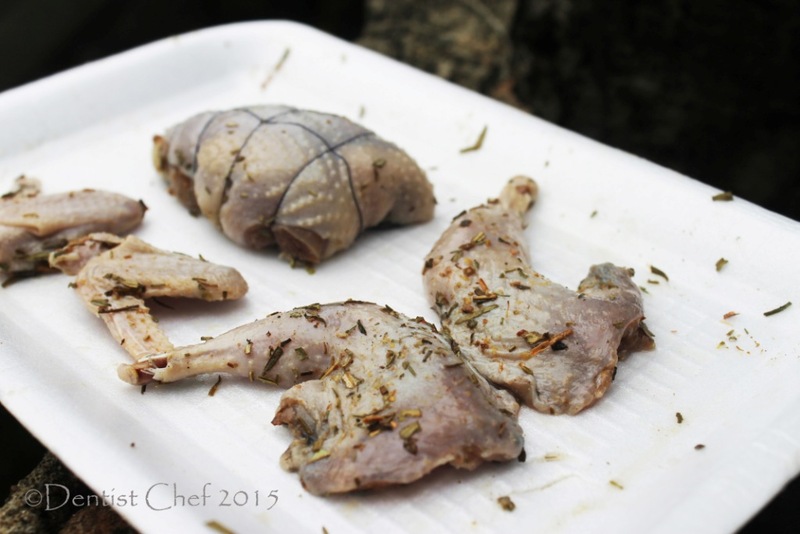 I guess the French confit cooking techniques is just perfect for cooking this tough quail or any wild game bird. 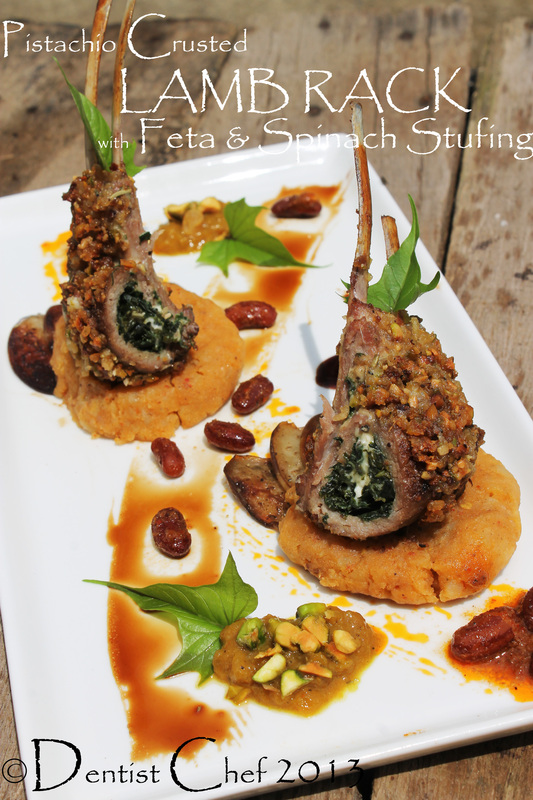 Resep Burung Puyuh Goreng Konfit ala Perancis maybe the best term for translate the quail confit in Indonesian. French confit cooking technique isn’t that popular here in Indonesia, so i think this a great deal to use local Indonesian ingredients with french cooking techniques. 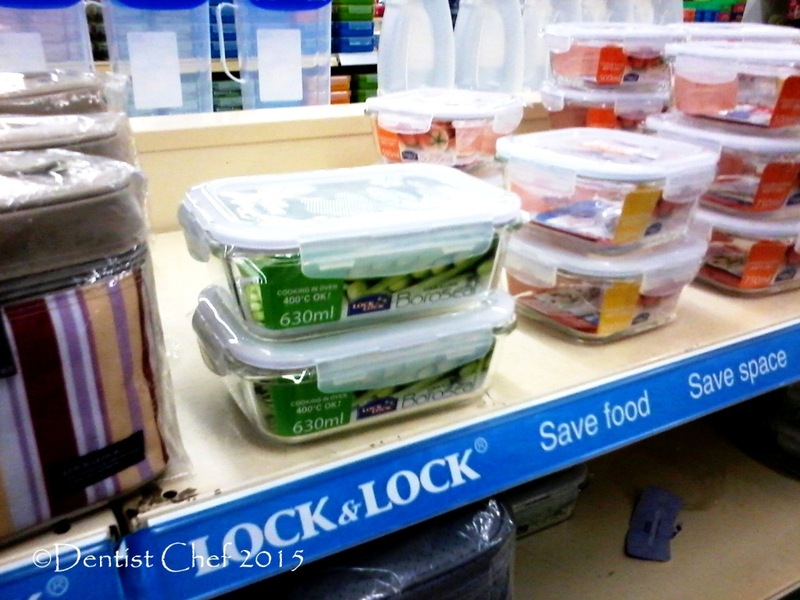 Once i do my weekely groceries shopping, i spot this 630 ml Lock&Lock Heat Resistant BOROSEAL RECTANGLE OVEN GLASS CONTAINER in the Diamond Supermarket Palembang. The brochures within the heat resistance glass container told me that unlike other glasses (especially tempered glass), heat-resistant boroseal glass uses boron tioxide and silicone dioxide material that contains strong heat resistant properties which could withstand sudden change in about 120ºC temperature, thus it could be used not only in a refrigerator, a microwave and a dishwasher but also in a 400℃ oven. Normal glass or tempered glass may broken and scratches when there is a themal or physical shock even with a very small stratch. Lock & Lock uses heat-resistant glass for more safety so no need to worried your table and kicthenwares suddenly cracked or exploded and harm you. The best featured of this fancy looking Pretty much i enjoy my new kitchen toy so i also purchased the 1L BOROSEAL RECTANGLE OVEN GLASS CONTAINER. Lock&Lock Heat Resistant Boroseal Oven Glass Container, sorry for the lame tablet camera photograph! 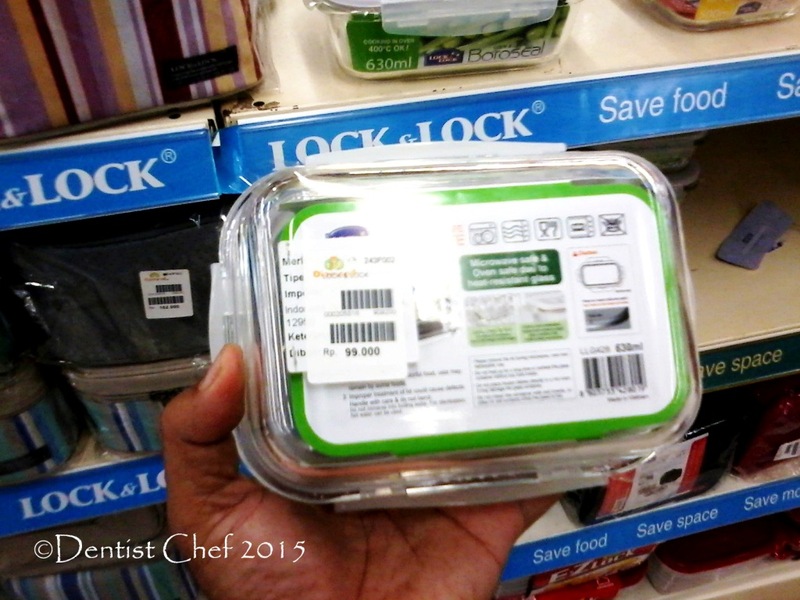 The Lock&Lock 630ml BOROSEAL RECTANGLE OVEN GLASS CONTAINER tagged IDR 99.000 while the 1 L tagged IDR 127.000, pretty much a great deal because it so handy and versetile to use in the kitchen. Heat resistant glass is safe for use in the oven and microwave, expanding your range of cooking from roasted risotto, spaghetti, baking and more! 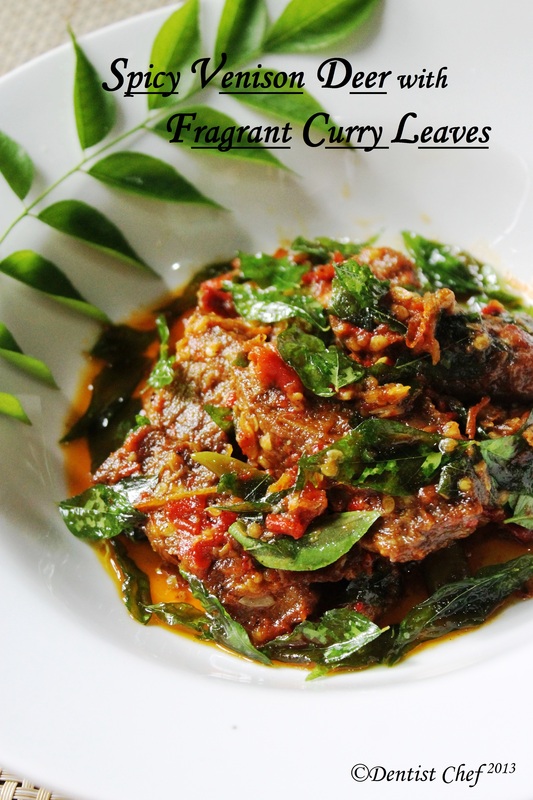 even curries and stews can be easily stored in the refrigerator and reheated later. I making confit with Lock&Lock Boroseal Container because the oven heat spreaded throughly by the boroseal body and made the perfect quail confit. 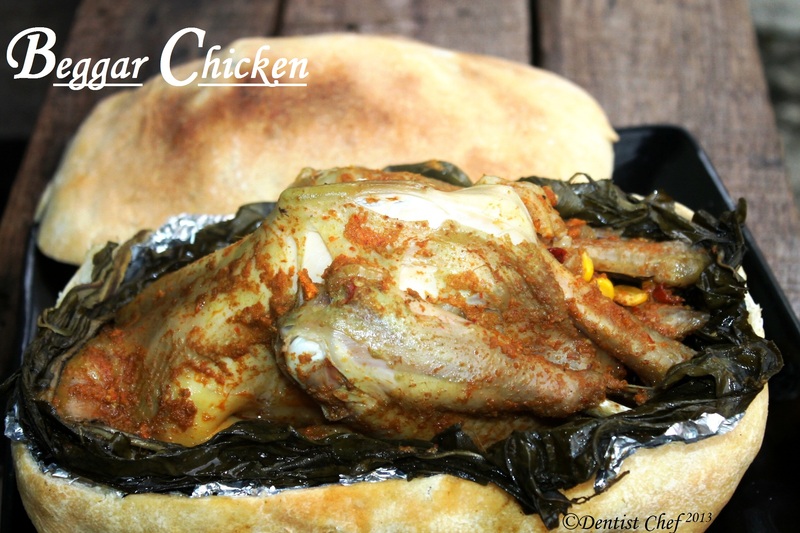 The lid made excellent airthighness and prevent the food oxidation and made the quail meat color changes once it cured or marinated with salt, herbs and spices before cooked. 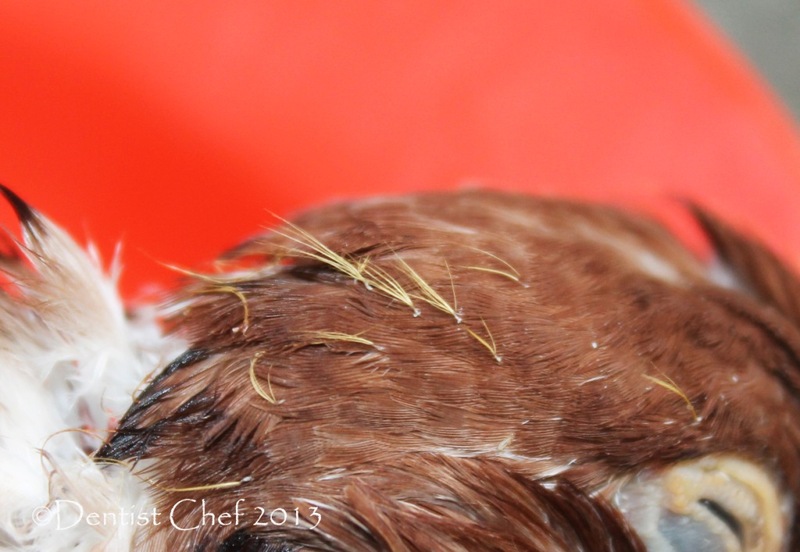 The quail is butchered into 3 major parts; legs, breast and wings. The quail leg removed from the body and then the leg cut above the knee joint to made an impressive presentation of leg confit. 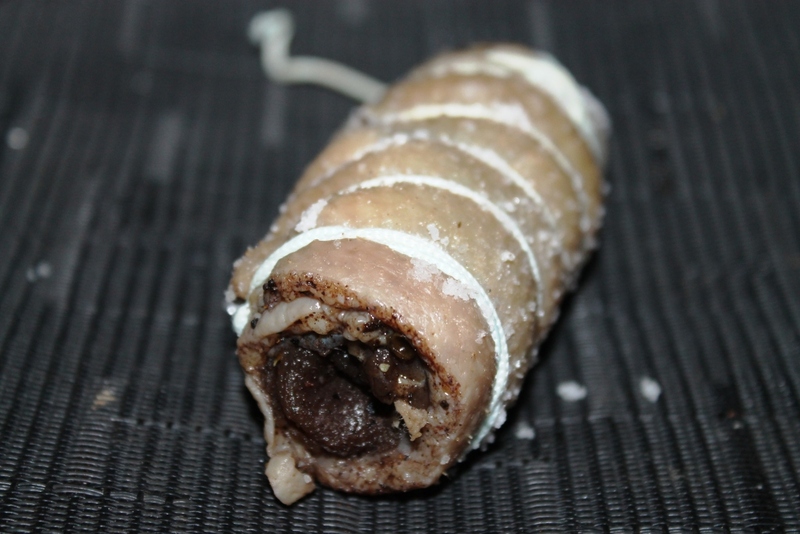 The entire quail breast compeletely deboned, rolled, thighten with a timy twines to kept it’s shape once it cooked. Once i just about to discard the wings, my grandma think that it will be nice and crisp up once deep fried right after confit, glad that i listen to her! 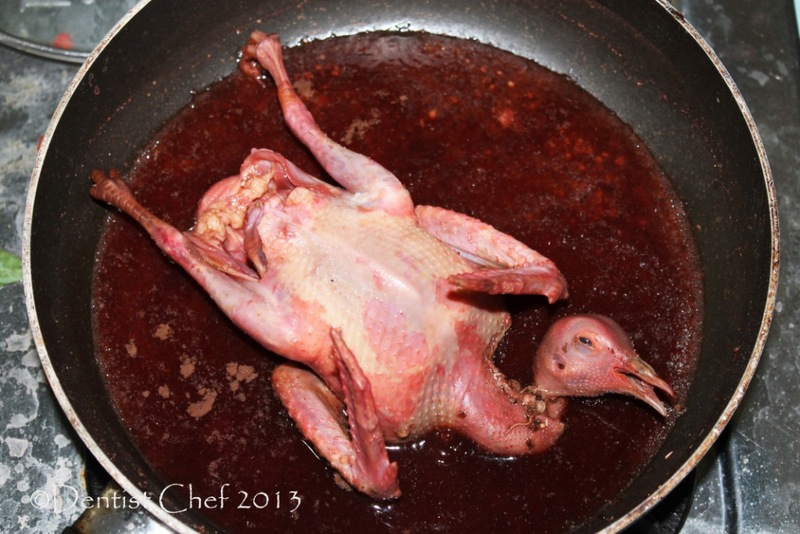 Nothing going to waste, the remaining quail carcass and edible visceras browned and then boiled to extract the juice out of it to make a delicious stock for cooking the lentil. The marinated quail leg and breast then submerged in a rendered duck fat dripping from making my Homemade Roasted Peking Duck. The marinated or cured quail and duck fat mixture then heated into small boil over a medium stove flame before tranfer it into prolonged confit in the oven, kinda usefull cheating short cut. Never hard boil or frying the quail !!! 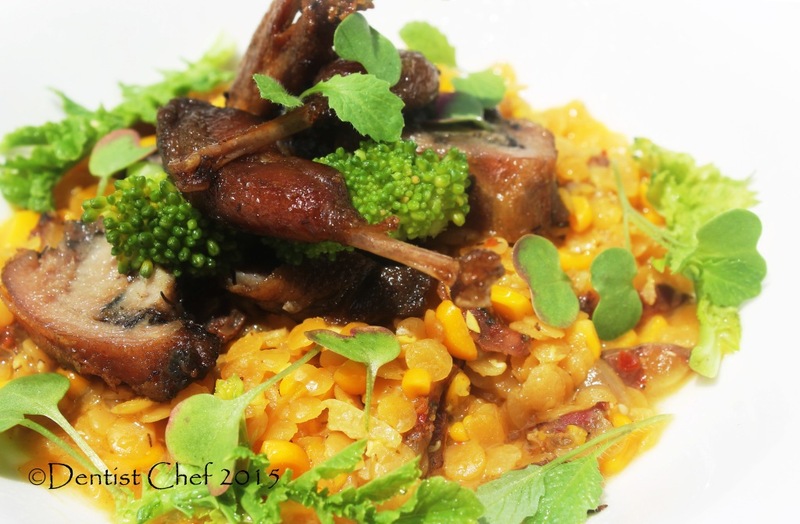 high heat will shock the quail meat and made it tough even more. The entire quail leg, breast and wings with rendered duck fat then transfered into the BOROSEAL RECTANGLE OVEN GLASS CONTAINER and then put it into about 130ºC preheated oven. Noted the boiling bubbles in the roasted quail confit oil, if it’s too much bubbles comes out into the surface it means you need to lower the oven temperature. The goal is set the duck fat oil temperature about 80-90ºC. If you didn;t had any temperature gauge to measure it, simply noted there’s one little bubles; once at a time comes up to the surface, then you’ve got the perfect confit temperature. 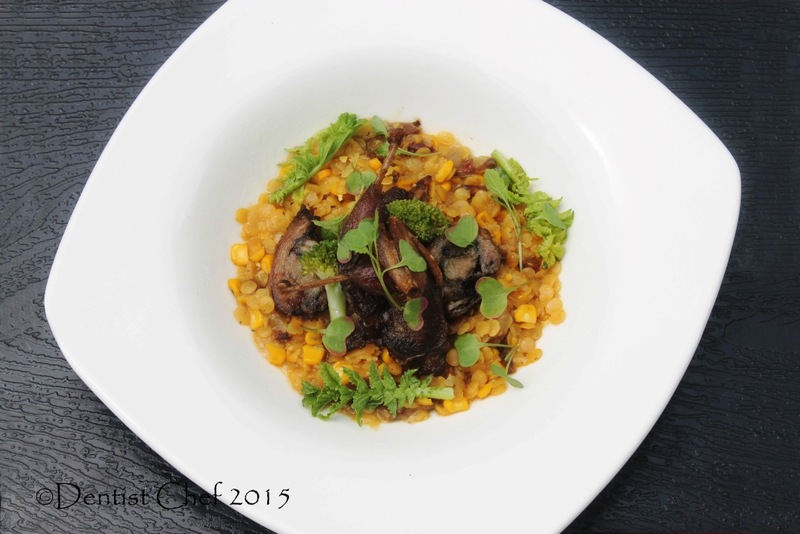 The quail leg and breast confit is tender enought once the meat it easily fallen off the bone. 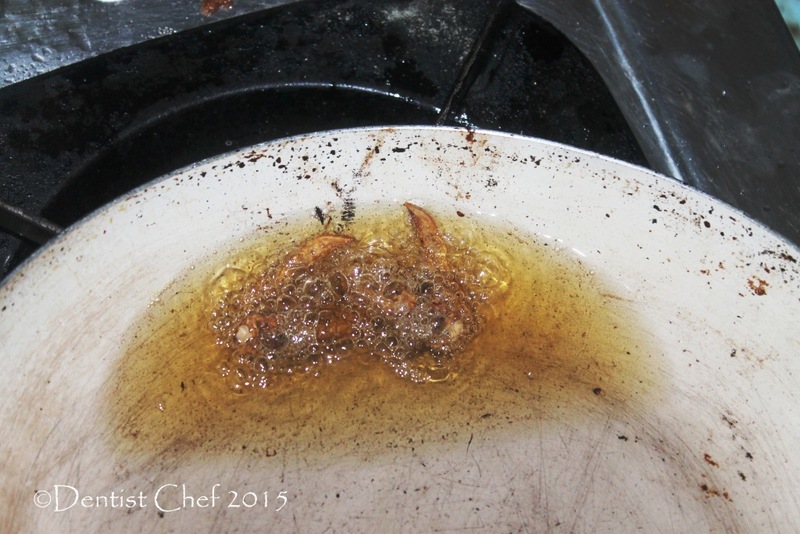 Removed the quail confit from the cooking fat and then drain it from excess oil. Removed the tiny twines that hold up the quail breast and now the quail leg and breast confit is ready to be flashed pan fried. 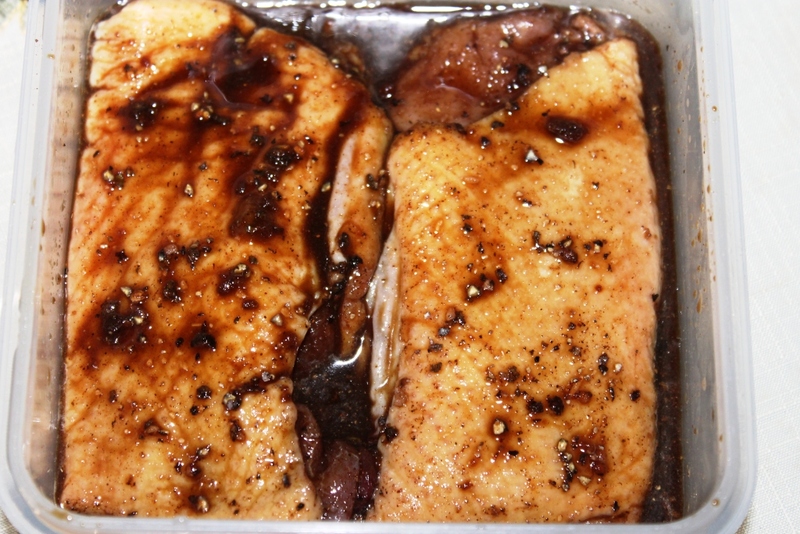 Heat up about 1 tablespoon of duck fat in a pan and heai it up until slighly smokey. 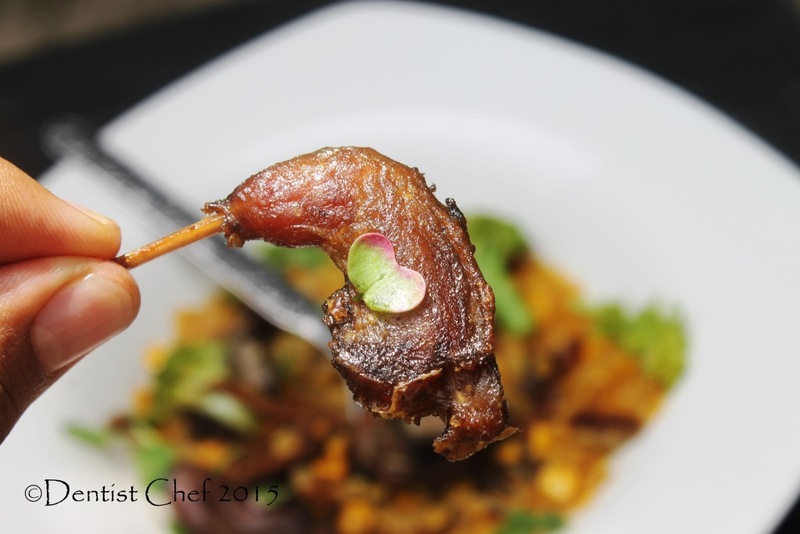 Carefully browned and seared the skin side of the quail confit until the skin is crispy and golden brown. 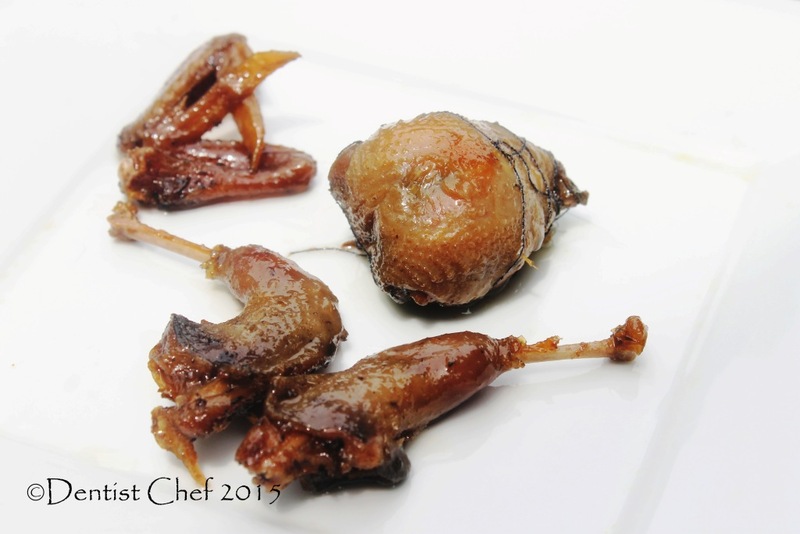 Deep Fried Quail Wings Confit, Crispylicious!!! Heat up about half cup of the duck fat fo cooking the quail confit and then deep fried the quail wings confit in a medium high heat until the wings totally crispy. 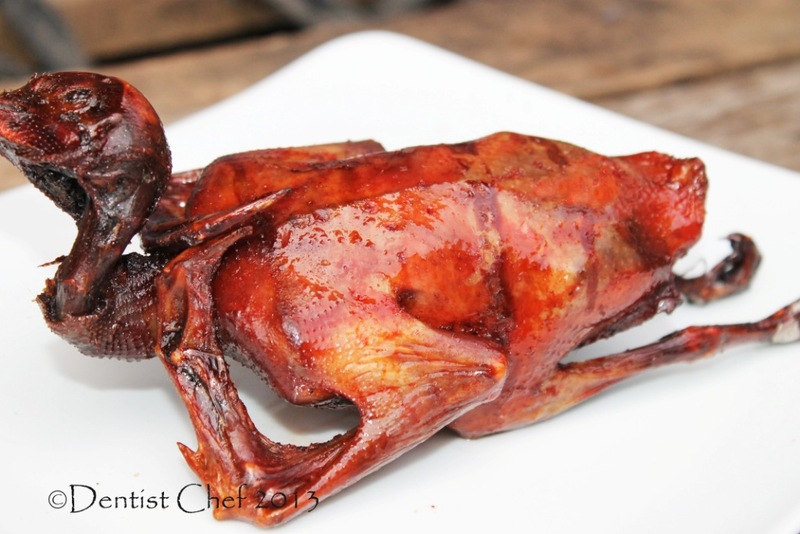 The quail wings is a litle bit bony and crispy, totally bring some extra bites to the dish. This is the ready to served quail leg and breast confit!!! the meat is tender and moist, while the skin is fried until crispy and golden brown, what a damn delicious conbination!!! Mix salt, garlic, thyme, rosemarry, shallots and pepper together, spread evenly over quail legs and breast and marinate overnight. 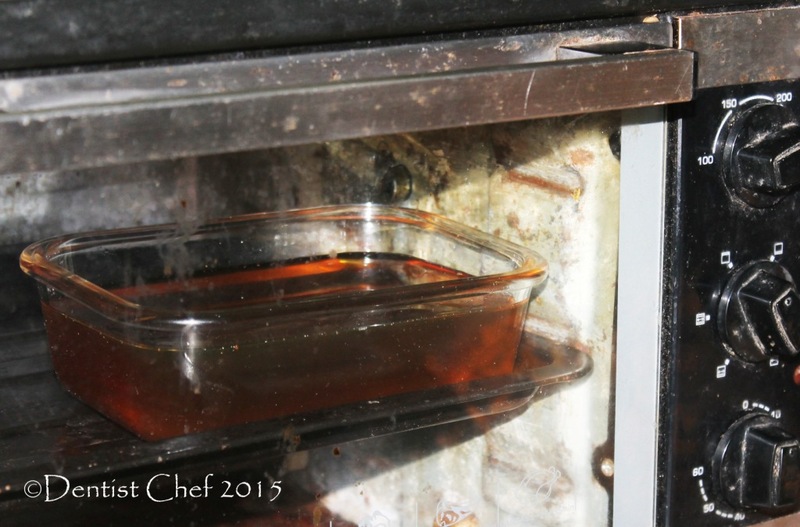 Transfer the duck fat and the marinated quail into a BOROSEAL RECTANGLE OVEN GLASS CONTAINER then put it into a preheated 120-130ºC oven for about 45 min. Once cool, remove from the quail leg confit and breast from the duck fat. 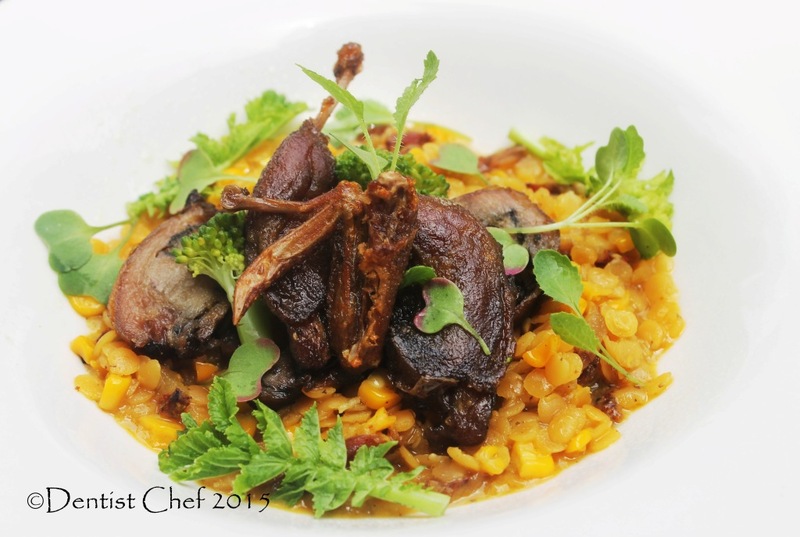 Pan fried the skin side of the quail breast and leg confit until crispy and golden brown, served it with stewed lentil with chorizo and saffron. Stir fried garlic, onion and shalots, cook until it turns golden brown. Add the chorizo sausage; cook and stir until the sausage is crumbly and beginning to brown. Pour the stock and lentil. Season with salt, pepper, and homemade garam marsala powder. Bring to a boil over high heat, then reduce heat to medium-low, cover, and simmer until the lentils are tender, about 40 minutes. 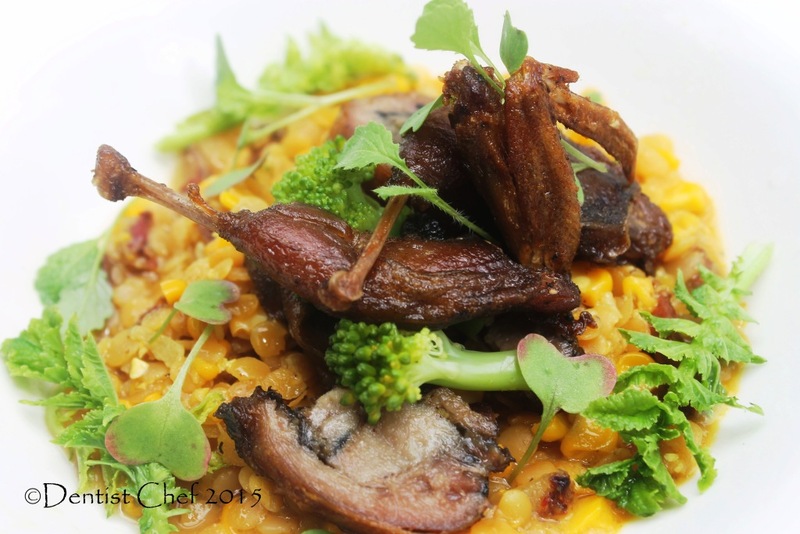 Roasted Squab Pigeon in Chinese Style with crispy and glossy skin, tender and juicy meat and amazingly fragrance is a part of celebration dish such as Chinese New Year, wedding, birthday etc. 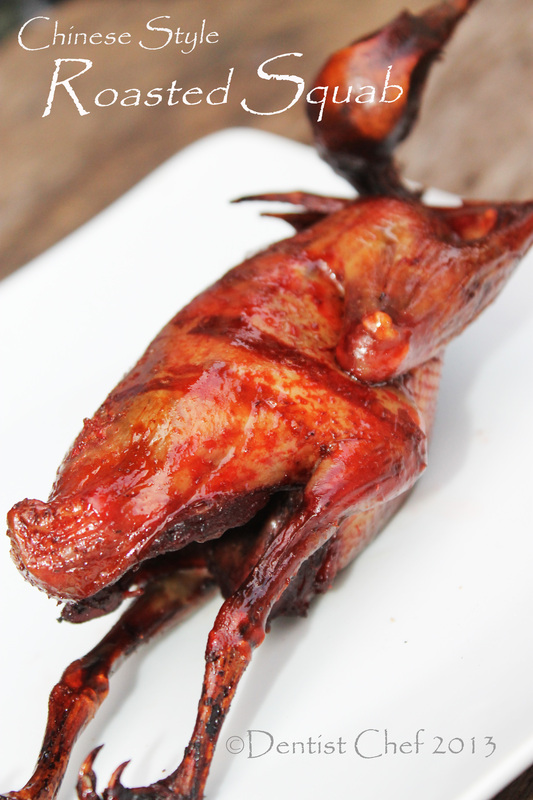 This Cantonese-style (Hong Kong) pigeon squab is usually braised with five spice powder, soy sauce, vinegar and rice wine and then roasted until the skin is crispy skin and meat is tender. The vivid red color skin is usually derived from food coloring or red yeast rice (angkak), while the glossy skin is derived from maltose or honey. Another secret recipe for crispy and glossy Chinese roasted pigeon squab is blanching the skin with hot oil before roasting. This technique is slighly diffrent from my previously recipe Roasted Pigeon (Squab) with Spicy Szechuan Style Honey Glaze. Squab is a junvenile domestic pigeon or its meat that reached the mature size but not even started to learn to fly yet. Pigeon or dove squab commercially sold live in Chinese market to assure freshness, but here in Indonesia, i used to spot it in pasar burung or bird market. Actually i’m not buying the pigeon squab in the market, but i got the pigeon farm contact and location from the seller and i can pick my live squab there. i love to roast pigeon squab in Buddist-cut (retain their head and feet) instead New York style or Confucian slaughter pigeon squab (retain their entrails, head and feet). Making delicious roasted squab with crispy skin and juicy meat is quite tricky, you should pick the fat ones or you’ll got a dry and tought roasted squab. 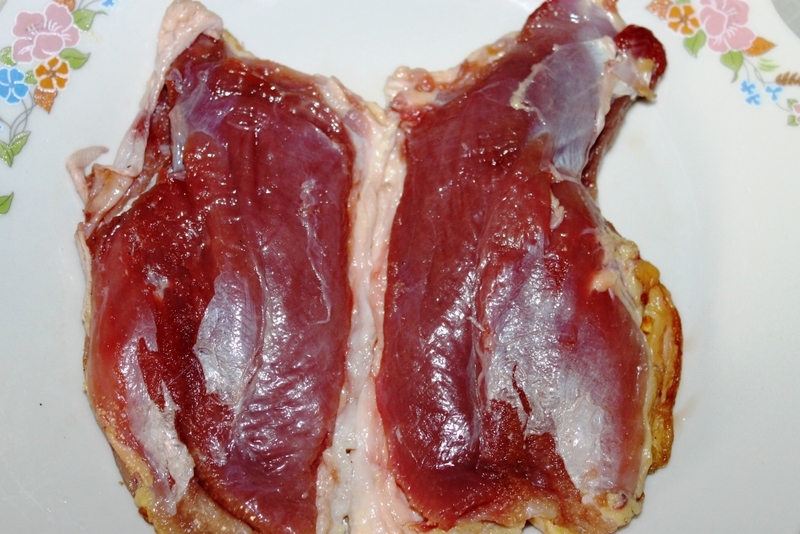 If you buy the raw squab carcass, the good sign of fatty squab is a thick layer of fat covering it’s the internal organ when the bucther cut open the abdomen. Id you lucky enoughtto access the live stock, you should pick the squab which still got remaining junvenile tiny feathers and when you try to catch the bird in the cage, the squab is not even try to fly away from you. Once a squab has fledged, its weight decreases significantly. My squab is weighted about 350 grams, pretty huge for local pigeon. 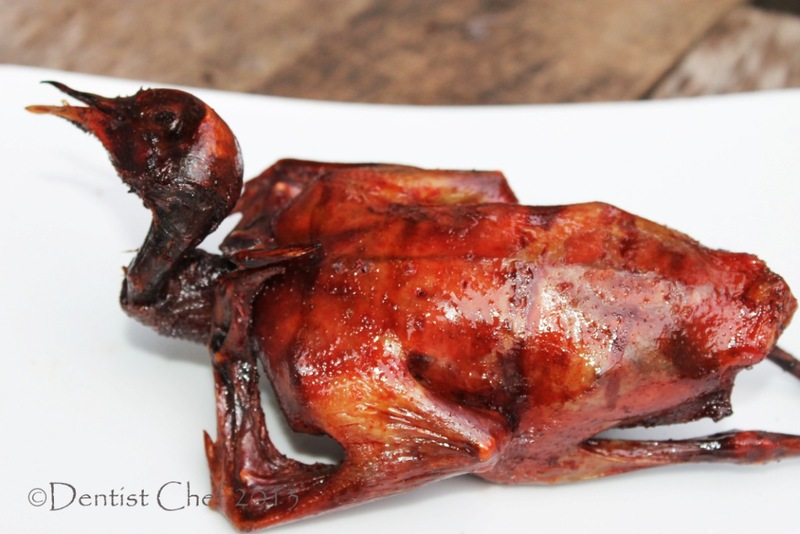 Roasted Squab Pigeon in Chinese (Cantonese) Style recipe and step by step instruction is similiar with making peking duck, but the skin inflate (blown) step is skipped. Right after you slaughtered the pigeon or thawed the frozen ones, pat dry it and then seasoned the pigeon squab cavity with salt and five spice powder. 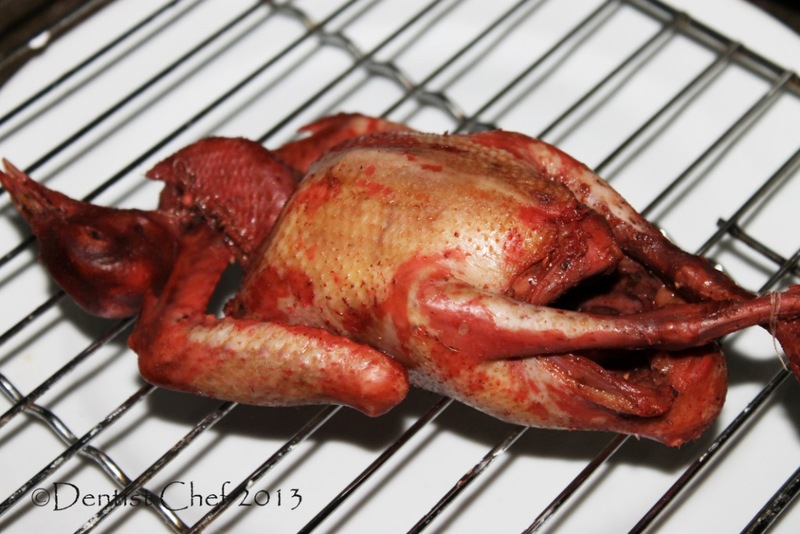 After that the squab skin is coated (i choose to blanced it) with maltose, red yeast rice and soy sauce coating. Hang or pur it in the rack to dry it overnight in the frigdge. You could basting the skin for about two or three times with smoking hot oil and then roast it until the skin is crisp up in 180°C for about 20-30 minutes. 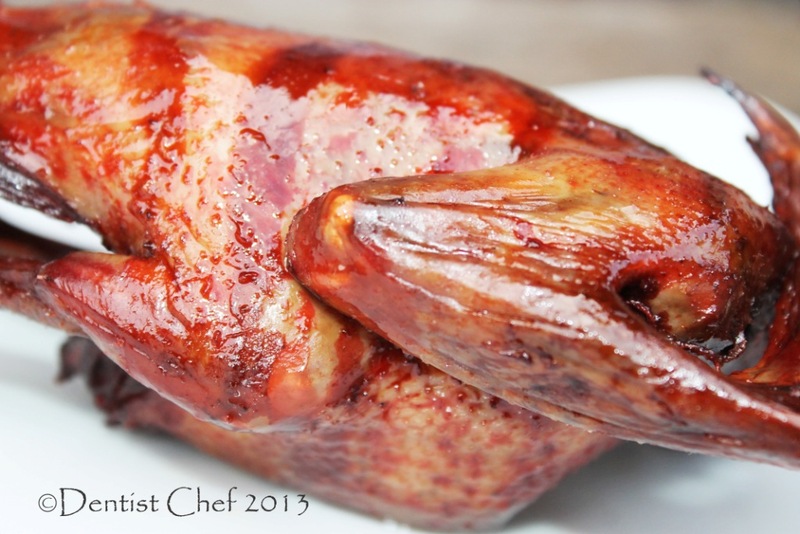 I suggest u using rotisserie oven for the best roasted pigeon squab. Never even think to roast the matured pigeon or dove for about because it’s meat is tougher than squab. The older pigeon requires a long period of stewing or basting-roasting to tenderize. 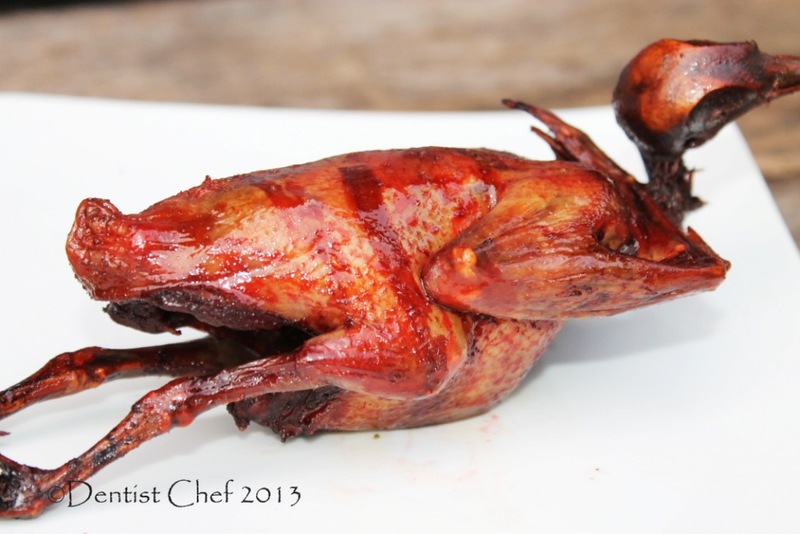 In Indonesian cuisine, especially Sundanese and Javanese, squab (and also the matur pigeon ) is usually spiced with garlic, shallots coriander,and turmeric. 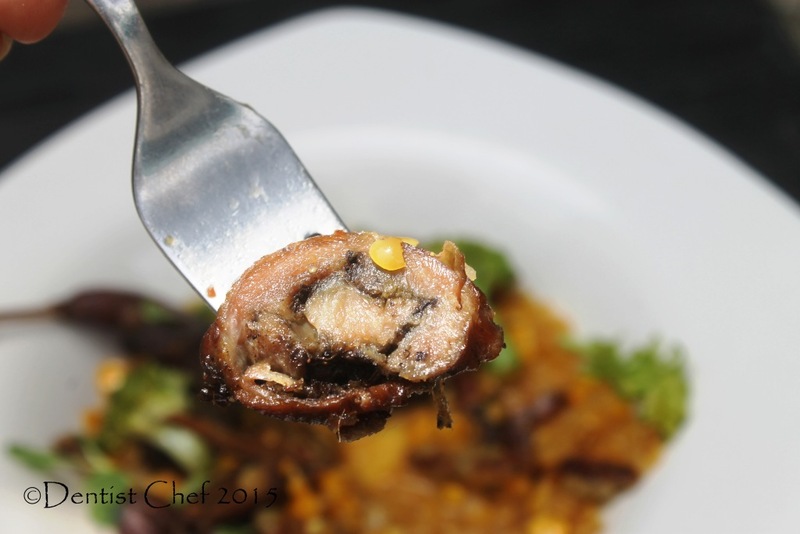 The following step for seasoned pigeon is ungkep or stewed covered with enought additional water to tenderize and then deep fried in smoking hot coconut oil. It is served with sambal chilli sauce, tempeh, tofu, vegetables, and steamed ricel (rice wrapped in banana leaf). 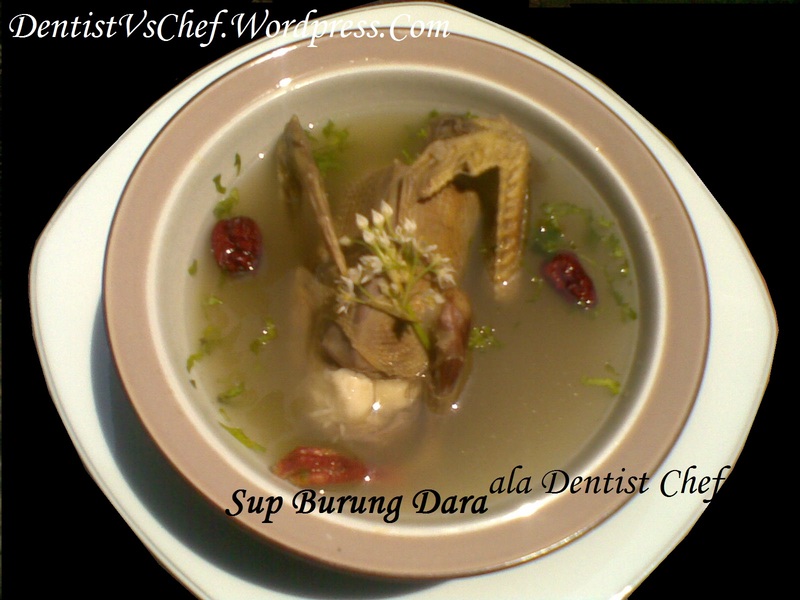 The other famous preparation among Indonesian chinese descent called Burung Dara Goreng Mentega or buttered squab. The Squab is marinated with lemon lime. worchestershire sauce then deep fried, drained and tossed with sauteed garlic with butter and the rest of the marinade ingredient. Reduce the heat into simmer, let it thicken into half the original amount. Prosciutto is known world wide as Italian dry-cured ham. Etymology of prosciutto derived from Latin word pro or before and exsuctus or drained out the moistures. Prosciutto usually served uncooked or raw with greens leaves salad and vinegar or lemon juice dressing. Beside that, prosciutto can be served as sandwich filling, rolled in the veggies and roasted and many more. Italian ham prosciutto in Indonesian is kinda damn pricey, it cost me about 10 USD for only 100 grams, fivefold than regular ham. Duck prostiutto is popular among the hunters because it can be made of lean cut of dark meat poultry like duck, goose or even pigeon instead of regular pig or wild boar ham. But actually the prosciutto mostly made of gamey bird breast. Properly dry cured method of prosciutto can save the good amount of hunting harvest. Than tey can enjoyed for a long day since it can last for months or even years. 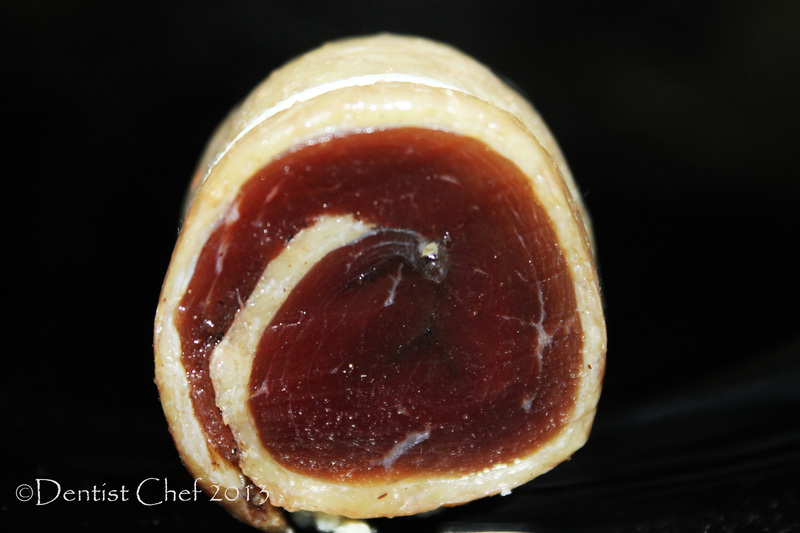 Some would love to inocculate a good white mould in the exposed meat to make it last longer. To mantain the red meat color and prevent spoiling and poisoning from botulist, prosciutto cured with nitrites like salt peter (sendawa) or potassium nitrid. The nitride oxide binded and reacted with the remaining myoglobin in the flesh and make a red pigmentation. This process get even better when the water is drained out from the flesh. Duck Presciutto: look at that georgeos ruby red cured meat! To make duck breast prosciutto, you must have the duck breast first. Make sure you deboned the duck breast properly and cleaned it from any silver skin or it won’t be well cured. The duck breast then cleaned, salted and cured with good seasoning for about 2-3 days, depend on your duck breast size. During this time the duck breast is gently pressed to drain all the blood that remains in the meat. After the curing process, the duck breast is carefully washed in running water, patted dry and hung in a dark, good-ventilated environment. 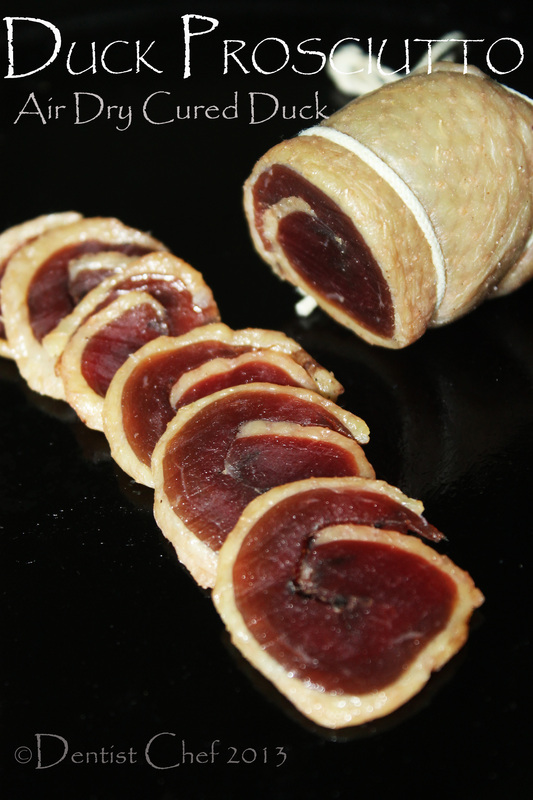 The humidity and temperature of the inviroment is the key success of making a good quality of duck prosciutto. The best enviroment for making cured meat is cold climate with low humidity. 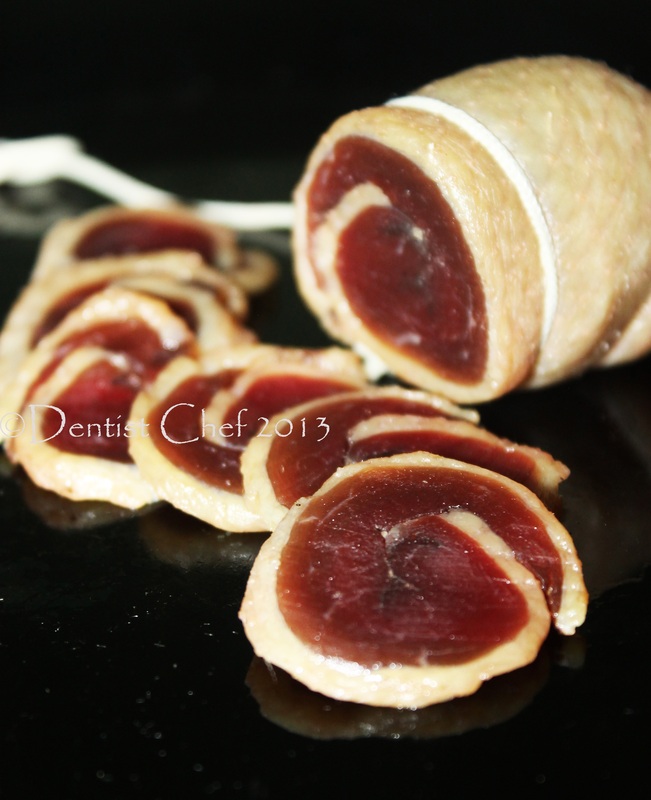 The duck prosciutto is then left until dry and loosen 30 percent of it’s weight. 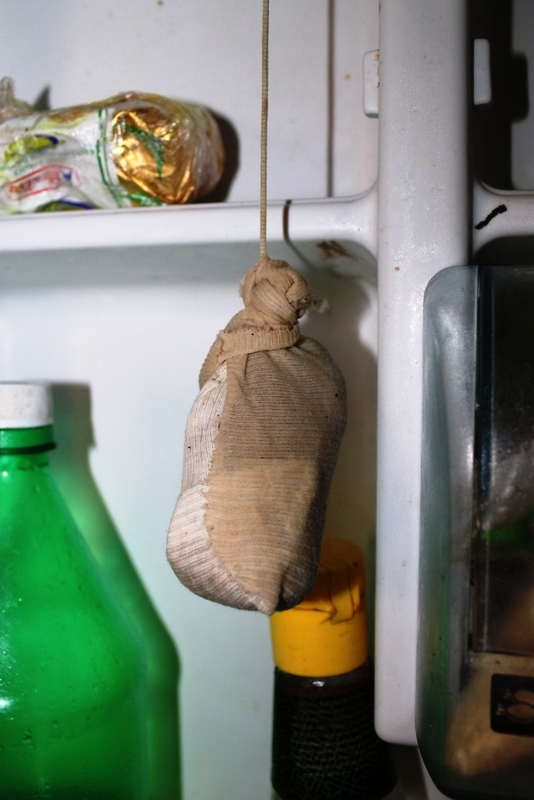 When you lived in a tropical country with high temperature and humidity, don’t worry about it, as long as you can set your refrigerator in “dry mode” you can made your own dry cured meat or prosciutto. Let it cured for about 2-3 days, flip twice a day and discard any liquid that dripped off. Curing the duck breast: look at the liquid that dipped off from the flesh! 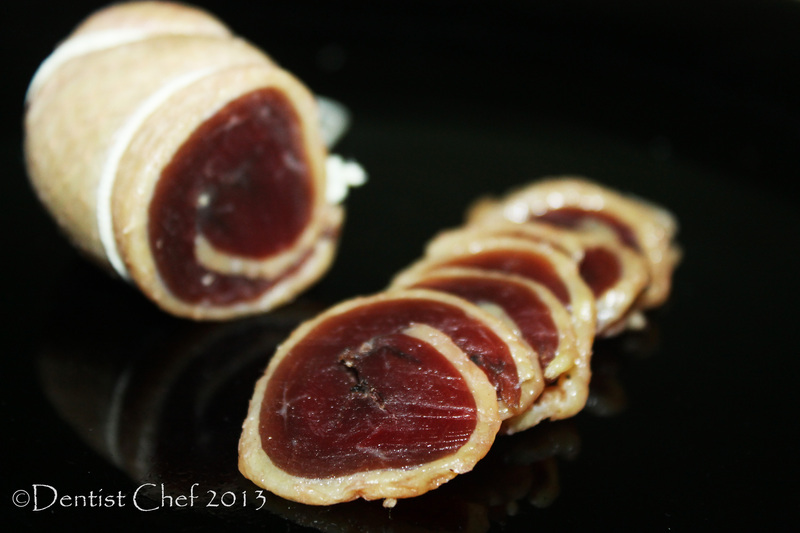 Roll the duck breast just like you’ve made pancetta! Your duck presciutto is ready when it losen 30 percents of it’s weight. 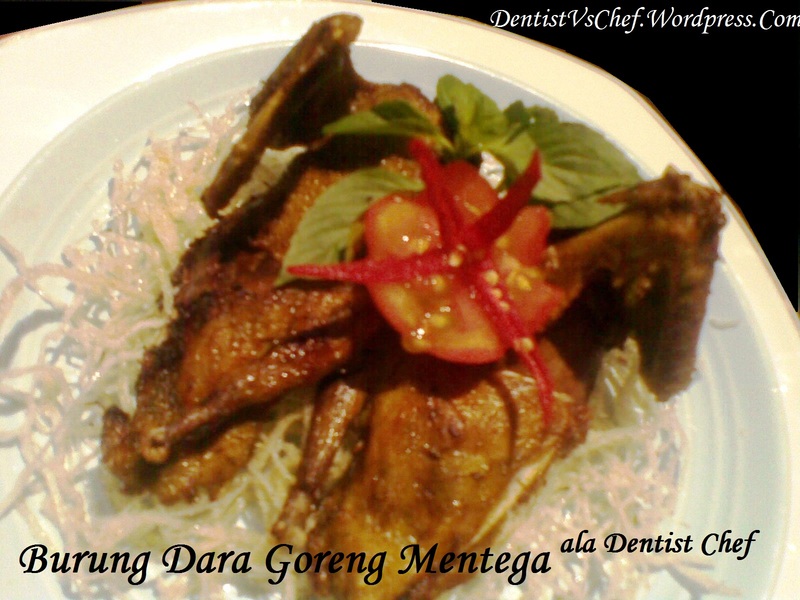 You can either serve it raw on salad or cook it in your pasta, your choise…..
Bosan dengan sajian burung dara goreng ? Tongseng adalah salah satu pilihan yang tepat karena sajian berkuah dengan bumbu kari yang nendang dan tambahan irisan kol dan tomat serta cabe rawit merah utuh yang siap meledak dimulut anda…. 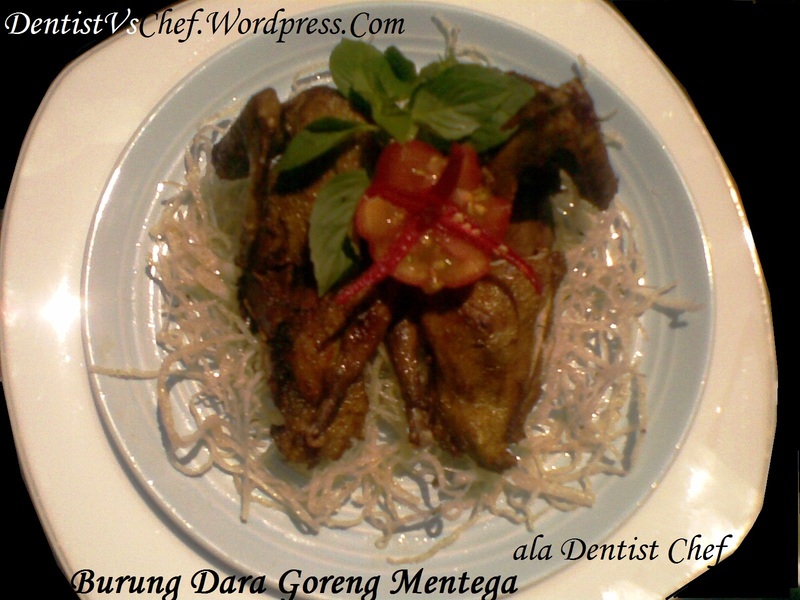 Burung dara atau merpati goreng mentega adalah salah satu menu populer di Indonesia, mulai dari tenda kali lima sampai resto vancy bintang lima. Taoi kualitas bahannya tentu berbeda, kalau di warung makan kaki lima biasanya memakai anakan burung merpati balap atau merpati yang sudah tua, sedangkan bahan yang digunakan di restoran adalah anakan merpati homer king yang beratnya mencapai 500 gr seekor. 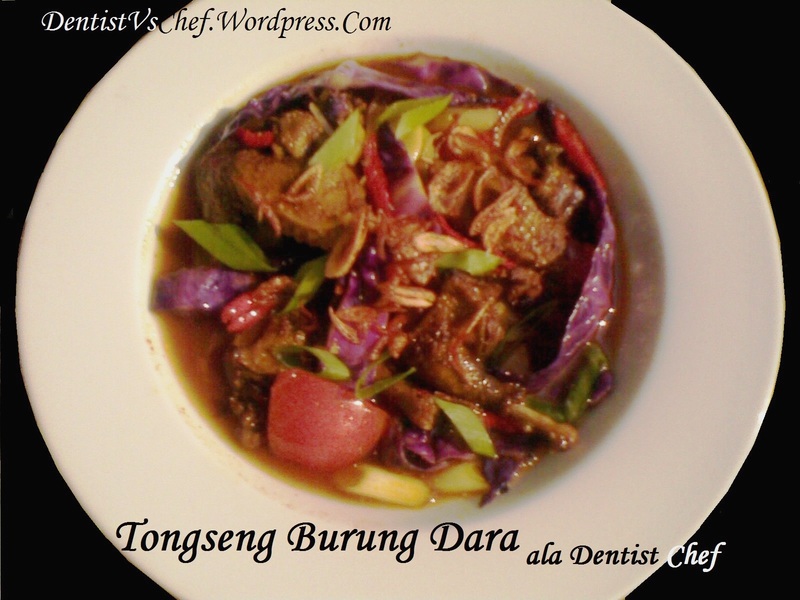 Posted in Extreme/Exotic Cuisine, Indonesian Food, Resep Burung Dara/Merpati (PIGEON/SQUAB), Resep Chinese Food.